Your dream has come true and the love of your life has popped the question – congratulations! After the excited phone calls and celebration dinners with family and friends, reality sets in – now it is time to plan your wedding. 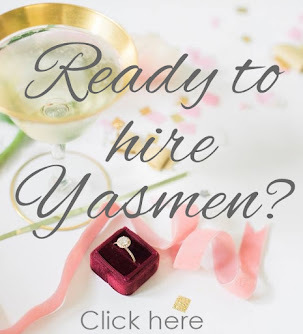 Your initial thought may be that it is all too overwhelming, but don't worry, there is a solution that will make planning your wedding fun instead of stressful. 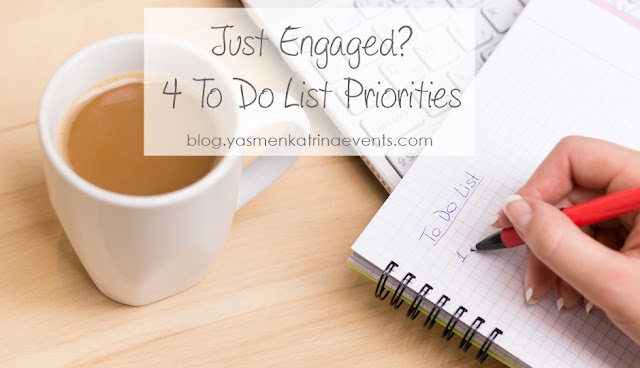 I am a big fan of to do lists and prioritizing tasks, so my best advice for tackling the first portion of wedding planning is to make a to do list. It is most important to start with the big items, this will make it easy to break each of the large items into smaller individual to do lists from there. Making decisions about the below four pieces of your wedding will affect every other decision, big or small. So consider these to be your top priorities. To Do 1: Choose a date. Maybe you have always dreamed of getting married during a particular season, or on a lucky date. Whatever it may be, make sure you allow yourself and your fiance adequate time to plan your wedding. To Do 2: Choose a location. Traditionally, weddings have taken place in the bride’s hometown, but today this is a rare occurrence. To Do 3: Pick your venue. It is important to remember that a venue should be able to comfortably accommodate your entire guest list, so keep that under consideration when searching for a venue. To Do 4: Hire a photographer. 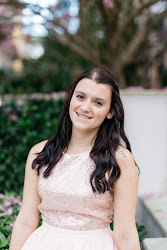 The best photographers fill their schedules quickly and far in advance, so once you have a date and a venue, book a photographer. If you take care of these four large to do items, you will find all of the other decisions to be slightly easier to make. Just think of how great it will feel when you are able to place four large check marks on that long wedding to do list. Happy list making!